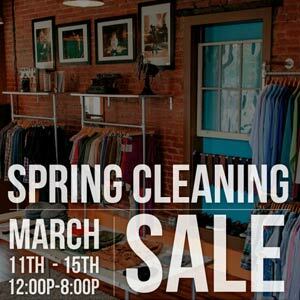 Gentlemen, start your credit cards: Covington menswear shop Flow is having a Spring Cleaning Sale, which means you save 40–60 percent on winter clothing, 25 percent off clearance items, and 15 percent off accessories. The store is open 12–8 pm, but hurry—the cleaning spree ends Saturday. If you like shiny, pretty jewels (and who doesn’t? 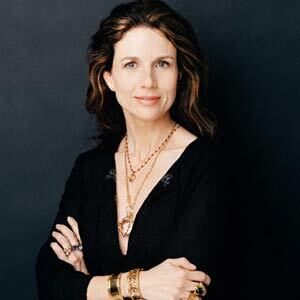 ), jewelry designer Temple St. Clair will be at Saks for a trunk show and meet-and-greet on Friday, March 14. Call to schedule an appointment for a personal consultation—and check out special pieces that aren’t available in stores. Even though the weather won’t cooperate, we hear spring is around the corner. 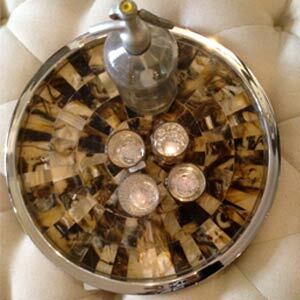 Our local fireplace haven, Bromwell’s, has expanded their selection of furniture and decor, and we #scouted this gorgeous mosaic tray at their showroom. Perfect for transporting drinks outdoors once the temperature increases for good.